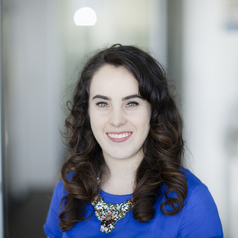 Laura Good is a Researcher at the Centre for Workplace Leadership with experience in qualitative research and industrial relations, having previously worked at the University of Sydney and Macquarie University. She has worked with organisations to explore human resource management best practice and evidence-based practices to unlock employee potential. She is particularly interested in how leading international research can inform policy and practice. Her research interests revolve around decent work and employee well-being, particularly including women and leadership, High Performance Work Systems, employee voice, and anti discrimination. Laura graduated from the University of Sydney with First Class Honours and the University Medal, with her thesis exploring the exercise of employee voice among retail and hospitality workers who had been sexually harassed by customers. She has published and presented conference papers on this topic.